The Urban Spree in Berlin-Friedrichhain is a so called hot spot you need to visit when you are in Berlin and interested in Street Art and Urban Art. Urban Spree (at the corner Revalerstr./ Warschauer Str. 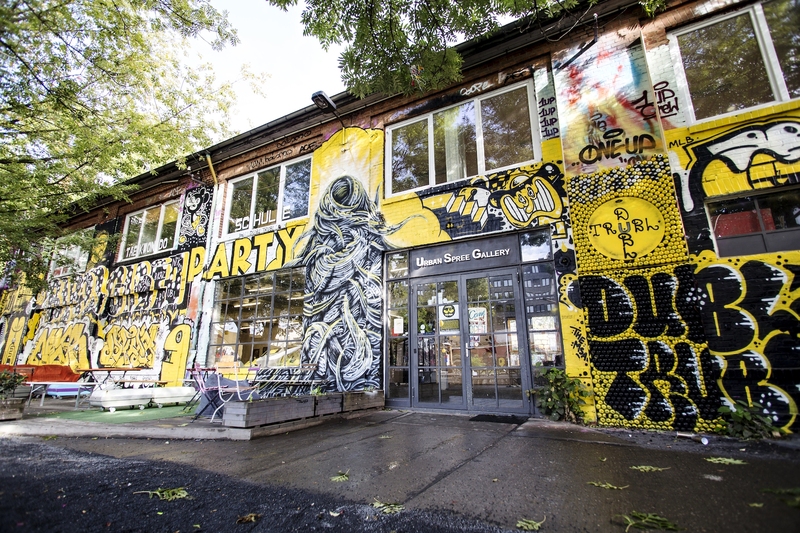 next to the trainstation Warschauer Straße) sees itself as an artistic space dedicated to urban cultures through exhibitions, artist residencies, concerts, an art store and a large Biergarten. The 1700 sqm area have included a gallery, a book- and art shop, artists studio, concert spaces and a bar and beergarden. 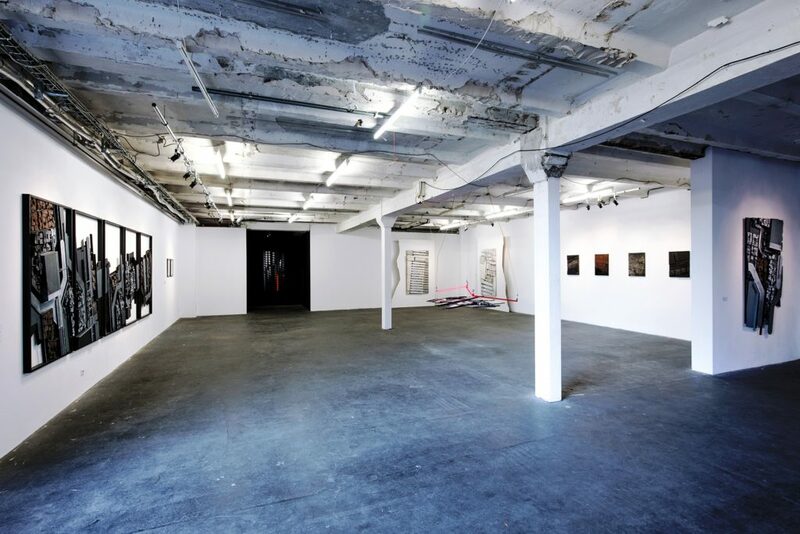 Within Urban Spree, the Urban Spree Galerie is a 400 sqm independent contemporary art space. Set in a vast postindustrial compound in the heart of Berlin, the gallery promotes a grassroots artistic approach, working closely with street & graffiti artists, urban photographers and contemporary artists. The gallery curates independent art shows on a monthly basis, which most likely include the painting of the whole compound and its flagship “Artist Wall“, a 15 m long x 8 m high wall surface facing Warschauer Str., one of the busiest arteries of Berlin, counting 100.000 visitors/day. Artists who painted the wall in the past include Above, Klone, Zevs, Broken Fingaz Crew, Twoone, Low Bros, Nychos, 1UP Crew, The Grifters, Peachbeach, Rylsee, m-city, Johannes Mundinger and many more. The Urban Spree Bookshop is located in the gallery and displays a hand-picked, organic selection of street art, graffiti and photography books whose common thread is a vision of cities, post-industrial & decayed spaces. The shop includes a large selection of screen prints made by local & international street artists that we personally know. To accompany our rich selection of zines and self published books, we launched Urban Spree Books a few months ago as a new venture to promote self-publishing. Artist Residencies are at the core of our artistic ecosystem. A mix of permanent, medium term and guest studios, the residencies irrigate by their creativity and artistic contributions what Urban Spree is about. 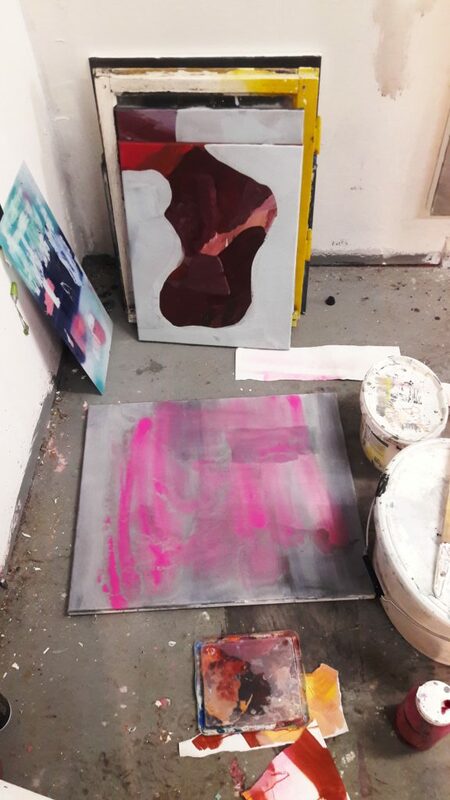 Currently, our residents include Andrea Wan, Rylsee, Tavar Zawacki/Above, Johannes Mundinger, Tine Fetz and the screen printing activities of Dolly Demoratti’s Mother Drucker. The Biergarten is the place to chill in summer with its own selection of local and German craft beers and often top-notch streetfood vendors. 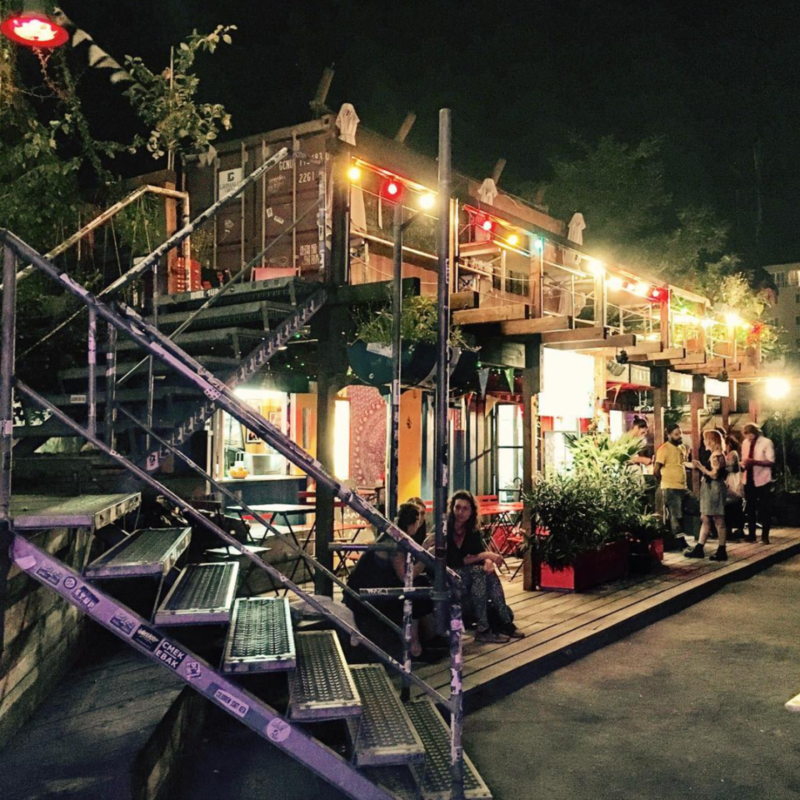 In addition, Urban Spree organizes the „Urban Spree Summer Sessions“, showcasing the best street musicians that Berlin has to offer every Friday, Saturday and Sunday evening in the Biergarten. Additionally Urban Spree is home to many festivals and events, such as the Pictoplasma Festival, Krake Festival, ComicInvasionBerlin, Amaze Festival, Midsommar Festival, Druck Berlin Festival, Berlin Graphic Days, outdoor screenings, diner events and many more.